Malaysian blogger, Khairul Nizam Abd Ghani, or “Aduka Taruna”, was recently arrested for allegedly insulting the late Sultan of Johor, Sultan Iskandar ibni Almarhum Sultan Ismail. According to news reports, the Home Minister, Hishammuddin Tun Hussein, said the blogger will not be let off the hook that easily. Let his case be a lesson to others who think they can express themselves openly without worrying about repercussions… He has been arrested and will have to wait for the Attorney-General’s Chambers to decide on the appropriate action to be taken against him… Even if he apologised to the Sultan or the public for making the insult, my ministry and the Malaysian Communications and Multimedia Commission can still take action against him. The blogger reportedly gave himself up to the police, according to reports on 25 Jan 2010. Following the sudden passing of Sutlan, Khairul Nizam allegedly posted the insulting comment on his blog, for which it is said about 25 police reports were filed against him. Due to this, the Johore police had to establish “a special task force” to investigate the matter. Since then, Khairul Nizam publicly apologised and withdrew the posting. In addition to the Home Ministry and the police investigation, the Malaysian Communications and Multimedia Commission (MCMC), a body which regulates the Internet, will also investigate the matter, according to Information, Communication and Culture Minister, Rais Yatim. We need more people who are appreciative of those who have contributed. It is very seldom to find Asians lambasting a former head of state, especially the late Sultan of Johor who was the Yang di-Pertuan Agong. The blogger, who was remanded for four days to facilitate investigations, was charged on 29 Jan 2010 under Section 233 (1) of the Communications and Multimedia Act 1998, which carries a maximum fine of RM50,000 or one year's jail or both upon conviction. 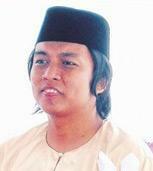 It was reported that Deputy Public Prosecutor, Masri Mohd Daud, proposed bail at RM10,000 with one surety. The blogger's counsel pleaded for a lower surety, and the Sessions Court judge, Zamri Bakar, agreed to reduce bail to RM5,000 with one surety.